From the Waldorf Astoria to the White House and back, Ridgeway’s cantaloupes are famous for their sweetness. Answer: Cantaloupes. That’s right. You know Ridgeway. It’s in Warren County, just one mile from Norlina, which is the address of Richard Holtzmann Jr.’s produce stand. But for six to eight weeks every year, Ridgeway appears to be a bigger speck on the map than its handful of buildings — post office, store, the Opry House, and fire department — make it seem. This is when melon mania sets in. While there’s an annual July festival held at the old packing shed and community house next to the fire department in Ridgeway, “mania” is probably too strong a word to use around Richard. 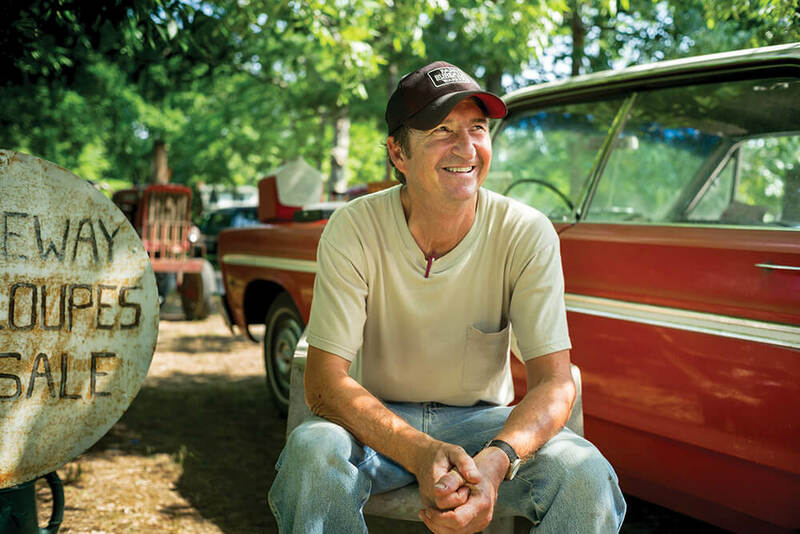 A soft-spoken, self-effacing fellow of 58, he wears a faded T-shirt, worn jeans, and a trucker hat. A self-described “old bachelor man,” Richard is one of the last of the original Ridgeway cantaloupe farmers. Their history is still strong, though, and the stories of enormous melon shipments to points north — Philadelphia, New York, Boston, Washington, D.C. — continue to be told. I mention to a friend in Warrenton that I’m heading to Ridgeway, and her first comment is, “Their cantaloupes went to the Waldorf Astoria!” — New York’s famed hotel. The Holtzmann family still has the 1939 letter that accompanied Ridgeway cantaloupes bound for the Royal Train in Washington, D.C., when King George VI came to meet with President Franklin D. Roosevelt, hoping to forge an alliance before World War II. “Before California figured out how to ship cantaloupes across the country, we supplied all the restaurants in the big cities,” Richard says. The melons were shipped on boxcars, layered in wooden crates that held between 12 and 45 cantaloupes, depending on their size. Richard’s uncle Willie Kilian, who’s 81 and still carts wheelbarrows of cantaloupes to the produce stand, remembers one shipment that filled 13 boxcars. More than cut grass, the smell of cut cantaloupe is the smell of summer. 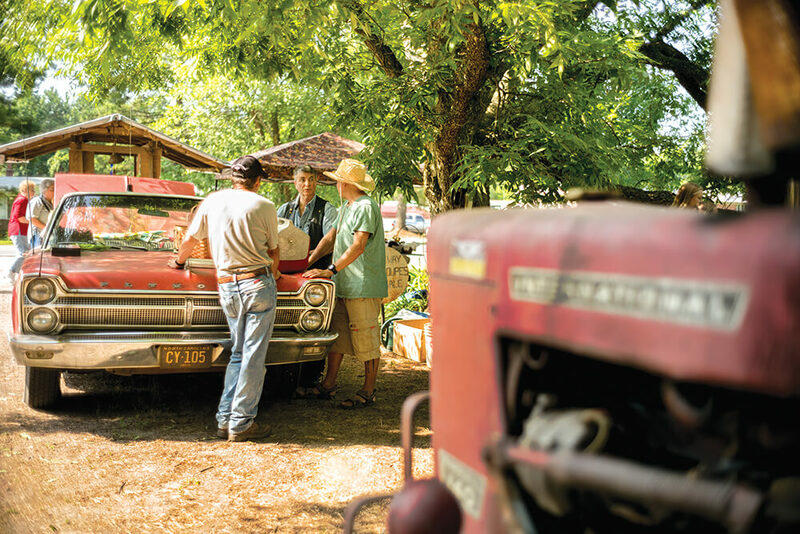 One of those original crates sits on the roofed cart parked at the end of the Holtzmanns’ driveway — the entrance to the house and farm — on U.S. Highway 1. The cart is where it’s always been, at the same stand, in the same spot, for 45 years. The cart, shaded by pecan trees and illuminated by electric lights on rainy days, is hooked to a red 1965 red Plymouth Fury, purchased in December 1964. 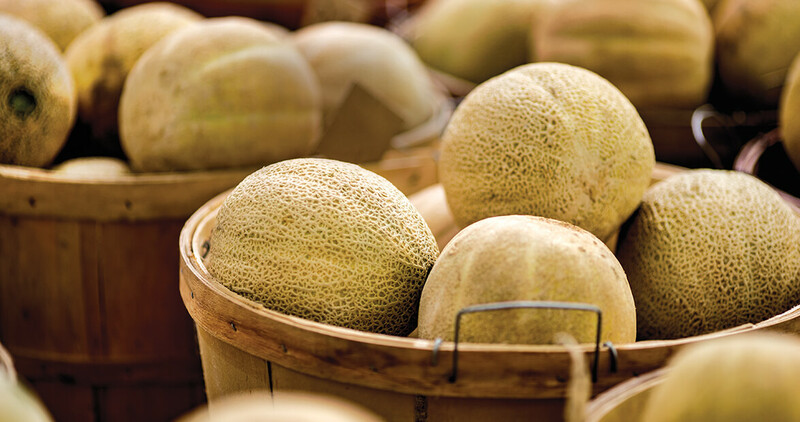 The unmistakably sweet scent of ripe cantaloupe wafts up from that crate and from a dozen bushel baskets full of melons sorted and priced by size. The smallest melons may sell for less than a dollar each, while the largest can cost up to $3. 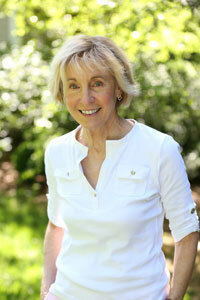 The Holtzmanns sell a few Athenas, the bowling- ball-size hybrids found in grocery stores. “Back in those days, before hybrids and all,” Willie says, “you raised chickens to get to fryin’ size, and when they got to that size it was over. We couldn’t have them the rest of the year.” So it goes with Ridgeway melons, with their short, six- to eight-week growing season. This year, the picking for Ridgeways began in mid-July. All of the melons bear the distinctive thick “netting” that makes a Ridgeway a Ridgeway. Beneath the rind, a ripe cantaloupe is pale orange, and the spot where the stem meets the melon is slightly cracked. A ripe Ridgeway falls right off the stem. “If we touch it, it should pop off,” says Willie’s son, Ricky Kilian. Ricky, 51, works with the Warren County Sheriff’s Office, but this morning he’s lingering at the produce stand. He’s helping out after the daily picking — “We’re in the field by 7,” Ricky says — and grading, which is done on a 75-year-old machine that separates melons by size in a shed behind Richard’s house. Customers pull into the driveway, where an old metal sign reads, “Richard Holtzmann & Son. Ridgeway Cantaloupes.” The sign goes up only when Ridgeways are available. A trio of folks arrives from Raleigh specifically to buy Ridgeway cantaloupes. “It’s the texture, the sweetness,” one customer says, putting a half-dozen in bags. 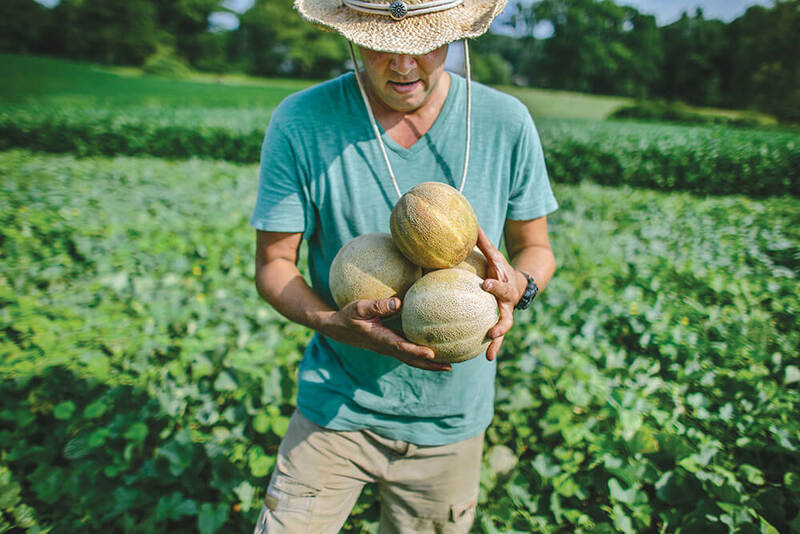 To improve soil exhausted by cotton and tobacco, the immigrant farmers planted “green manure,” or crimson clover, and began growing cantaloupes and other fruit instead. Today, Richard plants cantaloupes on three and a half acres of the 115-acre farm, and harvests some 300 bushels of melons per acre. If Richard is ’round back, don’t worry: An “Honest Box” is affixed to the cart. More than cut grass, the smell of cantaloupe is the smell of summer. Its sweetness will forever be the aroma of my grandmother’s kitchen. Summer mornings, I’d sit at a small table beneath a needlepoint sampler that read: Don’t complain about your coffee. Someday you’ll be old and weak yourself. My grandfather and I would share a melon — an entire half each. He liberally peppered his; I liberally salted mine. Richard, a flavor purist, frowns at the mention of salt and pepper. He’s not swayed by cantaloupe with cottage cheese, either, or how the old signs for Ridgeway cantaloupes portray their half-melons: filled with ice cream. I’d have to agree with that opinion. Maybe that’s how they served cantaloupe at the Waldorf Astoria, or the White House. The cantaloupes played a part in one Henderson native’s childhood. In his 1993 novel, Ruin Creek, David Payne writes of his main character’s visits to tobacco warehouses, where farmers told tall tales and saucy narratives of melons and buxom mermaids. After hearing this story, Richard smiles, shyly regards his famous melons, and waits for the next busload of church ladies, day-trippers from Raleigh, or neighbor from down the road to stop by for their Ridgeway fruit fix.